Posted February 16th, 2015 by John Shirk & filed under Uncategorized. Contact Aviation is proud to announce that our FBO facility at KPTK is now open! Contact Aviation’s FBO offers a discrete environment for the discriminating business or leisure traveler, who values privacy, easy ramp access, attentive concierge service and attention to detail. Our FBO provide the best fuel value at Oakland County International Airport with low prices and attentive, quick turnarounds. In addition, we are a fully certified, FAA Part 145 repair station that can quickly take care of any maintenance or repair issue that may arise. Please stop by and visit our facility. We would love to meet you. 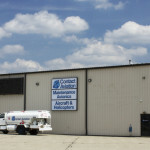 Contact Aviation, LLC. Receives FAA Approval for Dual L3 Lynx 9000 ADS-B Out/In in FAR Part 25 aircraft.